What is RISE of the LAVA MEN? 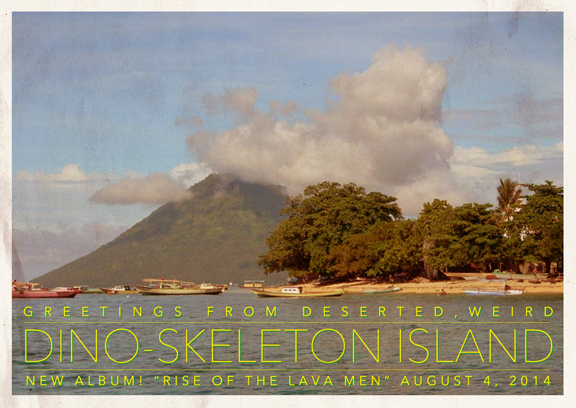 What is “RISE of the LAVA MEN,” you ask? Here is a video of the people who made it answering that very question! Pre-order “RISE of the LAVA MEN” today and get 3 songs NOW! RISE of the LAVA MEN – PreRelease ANNOUNCED! It is 2012. The END TIMES. As such, we are working on lots of stuff. 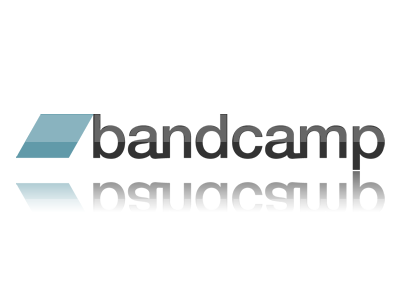 We had a productive and wondrous hiatus in Nov/Dec, and now we’re back in the studio working on new songs, ideas, and happenings. Stay tuned to this place, right here, forever. Together: we will take the Mayans down! and Brandon Patton, who we don’t know but can’t wait to meet! Brooklyn – R/N/D to Union St.
TELL FACEBOOK WHAT YOU DO! This is not only an eye-melting stew of awesome-powers of a line-up, this is not only the end of MC Frontalot’s tour, THIS IS SCHAFFER’S BIRTHDAY! So many birthdae showsss! Shake rattle and roll, kids, this is one for the books. Please come to either or both of these amazing rock shows if you can. Once, again, these are our LAST SHOWS OF THE YEAR. And they are booth awesome. 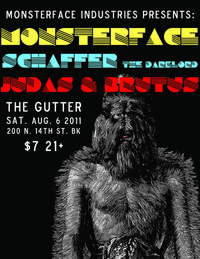 Monsterface rocks the Gutter in Brooklyn! We put this show together because we love this place. Also, we’ve always wanted to play a local show with Schaffer, cuz he’s amazing. 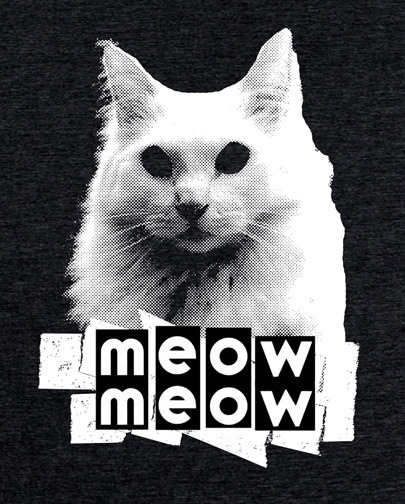 Also also, Judas and Brutus is Spooki Olde Eric’s OTHER band, and they are rock-masters of guitar/drum/duo power.